Quintessential Prescott Cottage with Guest House just minutes from downtown. 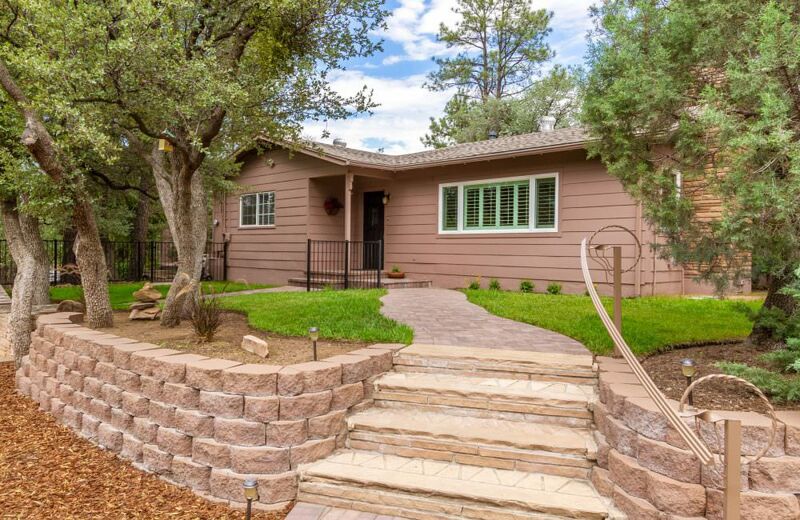 Beauty nestled among the pines on this ½ acre fully fenced lot. You will love the newer stainless steel appliances in the gourmet kitchen. Custom maple cabinetry and granite-tops throughout are adorned by rich knotty pine and tile flooring. Cozy up to the large flagstone fireplace. Enjoy the large private yard with huge paver patio, outside fireplace, and built in pergola. This home is prefect for family gatherings and/or entertaining. Spacious 2 bedrooms, 1 ¾ bath main house and 1 bed ¾ bath guesthouse with full laundry. Spacious detached 2 car garage with circular driveway and lots of parking. Priced to sell!